The Annual Congregational Meeting will be held on Sunday, February 17th, 2019 after the 10:30 am worship service. Committee Reports are required ASAP to be included in the Annual Report. Calling all Crafters….come out on Tuesday mornings (9:30-11:30) for some laughs and enjoy working on your project with a cup of coffee/tea and great conversation. See you soon! 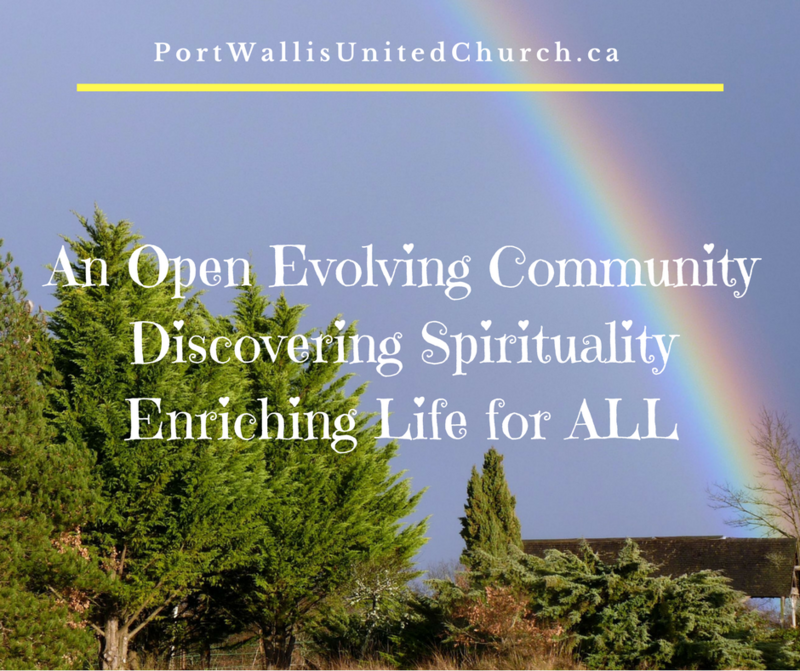 Spirit Cafe Discussion Night– Sponsored by Dartmouth area United Churches. Please join us on Tuesday, 5th February, 5:30-6:30 at Pilot’s Pub for fellowship and discussion on “What do we mean by God’s Grace?”. For further information, please contact Mark Hazen at 902-476-1280. PLEASE REMEMBER TO TAKE HOME THE ANNOUNCEMENT INSERT SO YOU KNOW WHAT IS HAPPENING IN OUR CHURCH COMMUNITY. Celtic Theology – culture, history, geography, philosophy collide. How our structure of the universe and previous beliefs in gods formed our Christian Theology. 10:00am – 2:00pm. Come and explore the origins, meanings and Theology of Baptism. All are welcome. Please call the Church office (902-435-3644) to register. Dinner and Movie Night ~ English muffin pizzas and a candy bar to take away the winter blues. Popcorn too!! If you have a movie suggestion, please let us know at the office. Please sign up, so we know how many pizzas to make. Broadway & Beyond with Funtastics & Friends, featuring Eleanor Hall, Jennifer Eames and Cynthia Davies. Grace United Church, 2:30 pm Sunday, February 3rd. Tickets at the door – $10.00 (children under 12 free). Saturday, February 16th 11:30 am-1:00 pm, $10/Adult $5/Children under 12 at St. Andrew’s Anglican 8 Locks Rd.